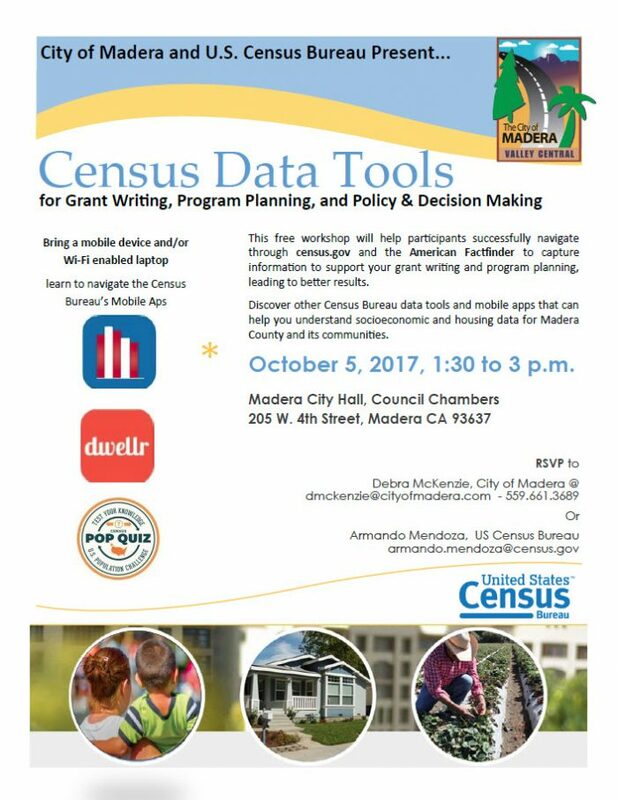 The City of Madera will host the U.S. Census Bureau to conduct a workshop in using new and existing census data tools. This FREE workshop will help participants successfully navigate through census.gov and the American Factfinder to capture information to support your grant writing and program planning, leading to better results. Discover other Census Bureau data tools and mobile apps that can help you understand socioeconomic and housing data for Madera County and its communities. Participants are encouraged to bring a mobile device and/or Wi-Fi enabled laptop.